The afternoon of June 16, 2012 will be a day that Connor Fields will remember for the rest of his life. 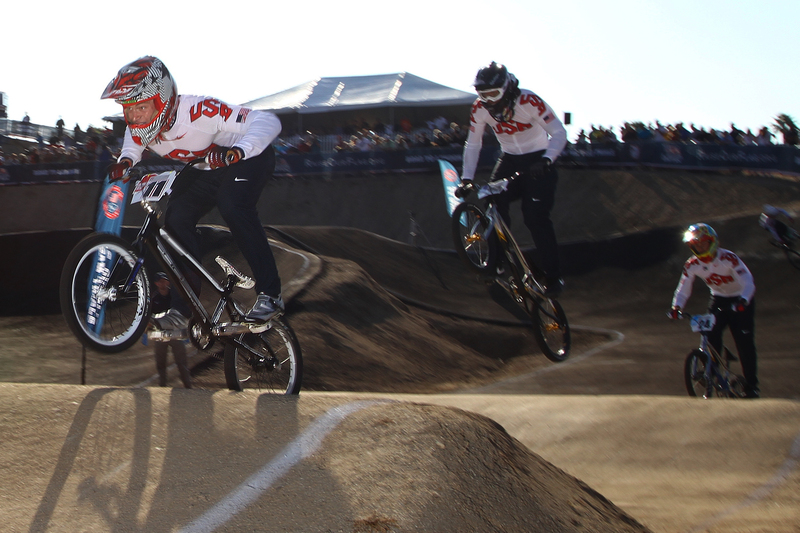 It was the day he official became an Olympian, as he was the overall winner at the USA Cycling Olympic trial event for BMX racing. 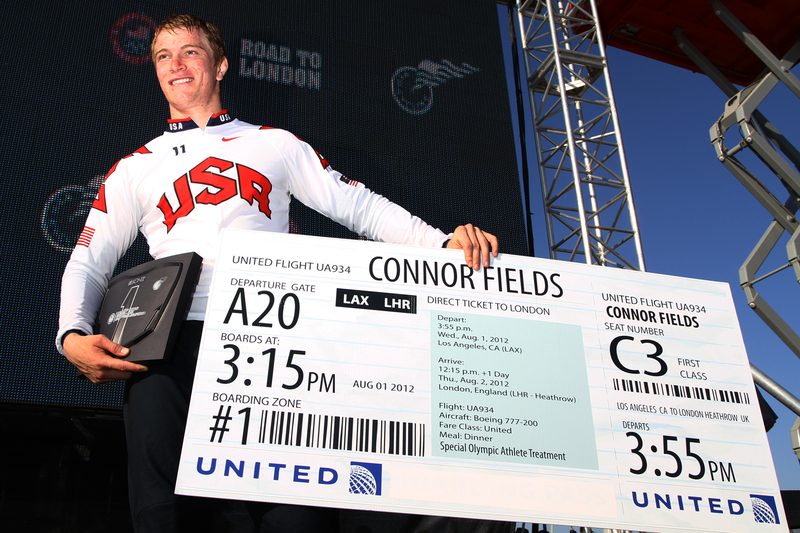 Connor has had a incredible year of Olympic qualifier events, but 2 bad laps at the last 2 events kept him from earning the automatic spot on the Mens USA BMX Olympic team. 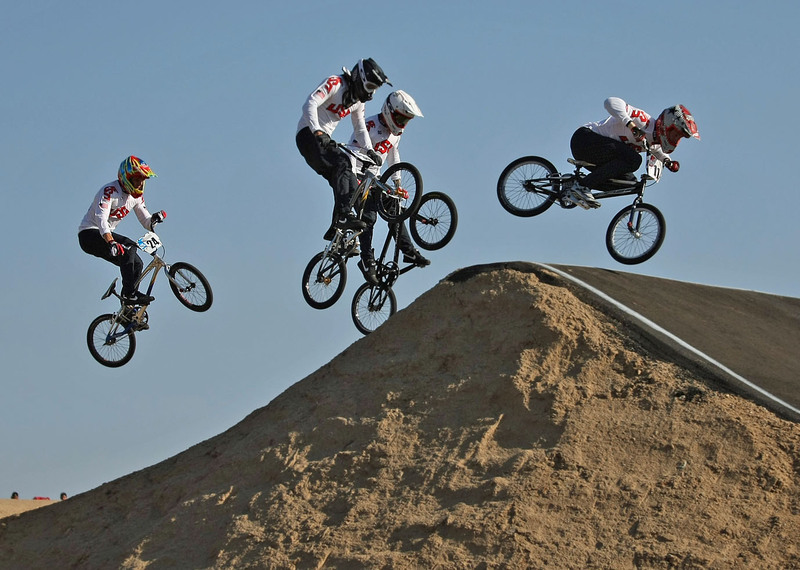 Coming into the trails event on Saturday, a new format was given to the 8 riders that were to compete. The riders would gain points in each lap on the track, and this would be crucial to move on in the program. The format was this: 2 Time Trail run, where the best time would count and only the top 3 riders would get point. Next, it was onto 3 Motos on the track with all the riders, but there was a twist. Once again, riders would score points, this time only the top 4. After the 2nd moto, the riders with the least amount of points would be dropped, leaving 6 for the 3rd round. After the 3rd moto, 2 more riders would be dropped, leaving the top 4 to race the main event. The winner of the main event would win a spot onto the 2012 Olympic team. Connor would have the 2nd fastest time in the TT after one attempt, and he decided to only roll around the track in his 2nd attempt and stick with his 1st lap time. As the race kicked off, Connor would win the 1st moto and 2nd moto, then would just roll around the track in the 3rd round, as the points he had acquired would be more than enough to put him into the main event. This also kept him a bit fresher than everyone else, as he had save some energy while all the other competitors were going all out into the main event. When the gate dropped for the main event, Connor would emerge the leader down the huge ramp and as he exited the 1st turn, you could just tell he knew what was on the line for the days win and there would be no way anyone would get around this determined young man the remainder of the way around the London replica track. Connor went on to win the lap, and the biggest race of his life, the race to the Olympics! Usually getting a ticket for going too fast is a bad thing.. Not this time. Connor will now be focused for the next 40 or so days towards one goal, 1 more main event win on this same track, this time, the one in London. We would like to give a huge congratulations to Connor on his quest for his Olympic dream, we are glad we could be along for the ride! 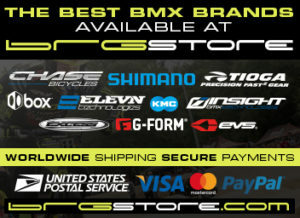 Thanks to all of our sponsors as well : Chase BMX, Fly Racing, Shimano, Tioga, Elevn, Excess, ODI, Thomson, Insight, Kingstar, and Kicker.